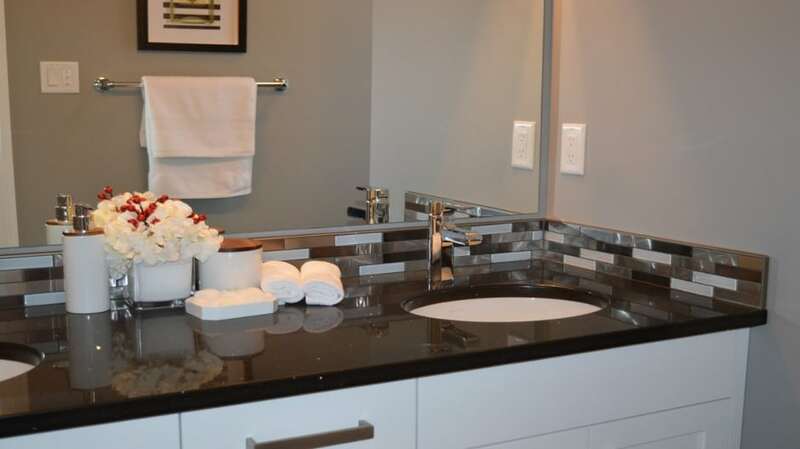 Any homeowner or builder can shop for bathroom vanities in the city of Los Angeles. It is important to look for good quality cabinetry that is also affordable. If you are trying to sell your home, updating a bathroom is a smart move. Be sure that you stick to your budget, stay on trend, and don’t over-improve. However, if you are looking for bathroom vanities for your own house, consider where the vanity will be placed, your personal style, and your budget. Budget always matters but it is easy to find functional and stylish bathroom vanities in Los Angeles that are also affordable. If you are looking for bathroom vanities in Los Angeles for your own home, first, consider the available space. Get your measuring tape out and take measurements of the area where the sink will be installed and measure at least twice. Carefully consider the plumbing, the doors, and the electrical. You want the room to be comfortable enough to move around in. Also, think about how much storage the vanity should have. If it is a guest bathroom it may not need as much room as say a master bathroom. Once you’ve taken your measurements, think about the style of vanity that you’d prefer and then you’re ready to go shopping. If you are looking for bathroom vanities in Los Angeles because you are hoping for a quick sale of the home, you will still need your measuring tape. If the vanity doesn’t fit, buyers will walk way. They won’t be fooled just because the vanity is beautiful. Be sure to take correct measurements. Buy a vanity that has plenty of storage but still fits the space. You don’t know who will be using that particular room after the house is sold but most buyers appreciate all of the storage space they can get. Whether you are buying bathroom vanities in Los Angeles for your own home or to make a sale, make sure that the vanity is on trend. Don’t purchase an outdated cabinet just to save money. You’ll lose money in the end. Buy the vanity that is stylish and that buyers will want to see when they walk in the room. Also, buy the cabinet that works for the space. It should create a flow that allows users to freely move between the fixtures and the doorways. Once you have taken all these things into consideration, buy the most amazing vanity that fits your budget and you can’t go wrong. There are a few steps to follow when buying bathroom vanities in Los Angeles. The purchase may not seem like a big deal but making the wrong choice could be disastrous in terms of both looks and functionality. Buyers could potentially walk away from the sale. Take the time to make the right purchase and you are sure to love it for as long as you own your home.